Fentanyl (also known as fentanil, brand names Sublimaze, Actiq, Durogesic, Duragesic, Fentora, Onsolis, Instanyl, Abstral, Lazanda, and others) is a potent synthetic narcotic analgesic with a rapid onset and short duration of action. It is a strong agonist at the opioid receptors. Historically it has been used to treat breakthrough pain and is commonly used in pre-procedures as a pain reliever as well as an anesthetic in combination with a benzodiazepine. Fentanyl was first synthesized by Dr. Paul Janssen in 1960 following the medical inception of pethidine several years earlier. Janssen developed fentanyl by assaying analogues of the structurally-related drug pethidine for opioid activity. The widespread use of fentanyl triggered the production of fentanyl citrate (the salt formed by combining fentanyl and citric acid in a 1:1 stoichiometry), which entered the clinical practice as a general anaesthetic under the trade name Sublimaze in the 1960s. Following this, many other fentanyl analogues were developed and introduced into the medical practice, including sufentanil, alfentanil, remifentanil, and lofentanil. In the mid 1990s, fentanyl saw its first widespread palliative use with the clinical introduction of the Duragesic patch, followed in the next decade by the introduction of the first quick-acting prescription formations of fentanyl for personal use, the Actiq lollipop and Fentora buccal tablets. Through the delivery method of transdermal patches, fentanyl is currently the most widely used synthetic opioid in clinical practice, with several new delivery methods currently in development. 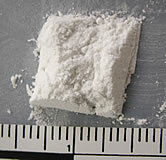 As of October 2011 there is currently a fentanyl shortage in the United States. Fentanyl Transdermal System patch (50 ng/h). Intravenous fentanyl is extensively used for anesthesia and analgesia, most often in operating rooms and intensive care units. It is also administered in combination with a benzodiazepine, such as midazolam, to produce procedural sedation for endoscopy, cardiac catheterization, oral surgery, etc., and is often used in the management of chronic pain including cancer pain. It has also been found to be useful to improve the actions of local anesthetic during root canal treatment. According to E.A. Elsharrawy in the Journal of Pain Symptom Management (33; 203-207, 2007), the intraligamentary injection of 0.4 ml of fentanyl (0.05 mg/ml) was highly effective in reducing pain when used concurrently with local anesthetic for a pulpectomy procedure (where the "hot" nerve is removed). Fentanyl transdermal patch (Durogesic/Duragesic/Matrifen) is used in chronic pain management. The patches work by releasing fentanyl into body fats, which then slowly release the drug into the bloodstream over 48 to 72 hours, allowing for long-lasting relief from pain. The patches are available in generic form and are available for lower costs. Fentanyl patches are manufactured in five patch sizes: 12 micrograms/hour, 25 mg/h, 50 mg/h, 75 mg/h, and 100 mg/h. Dosage is based on the size of the patch, since the transdermal absorption rate is generally constant at a constant skin temperature. Rate of absorption is dependent on a number of factors. Body temperature, skin type, amount of body fat, and placement of the patch can have major effects. The different delivery systems used by different makers will also affect individual rates of absorption. The typical patch will take effect under normal circumstances usually within 8-12 hours, thus fentanyl patches are often prescribed with another opiate (such as morphine or oxycodone) to handle breakthrough pain. Fentanyl lozenges (Actiq) are a solid formulation of fentanyl citrate on a stick in the form of a lollipop that dissolves slowly in the mouth for transmucosal absorption. These lozenges are intended for opioid-tolerant individuals and are effective in treating breakthrough cancer pain. It is also useful for breakthrough pain for those suffering bone injuries, severe back pain, neuropathy, arthritis, and some other examples of chronic nonmalignant pain. The unit is a berry-flavored lozenge on a stick which is swabbed on the mucosal surfaces inside the mouth - inside of the cheeks, under and on the tongue and gums - to release the fentanyl quickly into the system. It is most effective when the lozenge is consumed in 15 minutes. The drug is less effective if swallowed, as despite good absorbance from the small intestine there is extensive first-pass metabolism, leading to an oral bioavailability of 33%. Fentanyl lozenges are available in six dosages, from 200 to 1600 mg in 200 mg increments (excluding 1000 mg and 1400 mg). These are now available in the United States in generic form, through an FTC consent agreement. However, most patients find it takes 10-15 minutes to use all of one lozenge, and those with a dry mouth cannot use this route. In addition, nurses are unable to document how much of a lozenge has been used by a patient, making drug records inaccurate. Over 2008-09, a wide range of fentanyl preparations became available, including buccal tablets or patches, nasal sprays, inhalers and active transdermal patches (heat or electrical). High-quality evidence for their superiority over existing preparations is currently lacking. 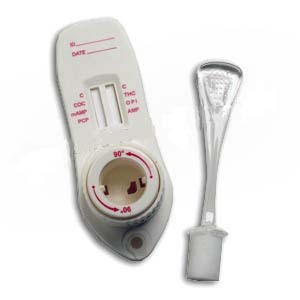 Some preparations such as nasal sprays and inhalers may result in a rapid response, but the fast onset of high blood levels may compromise safety (see below). In addition, the expense of some of these appliances may greatly reduce their cost-effectiveness. On July 16, 2009 the FDA approved Onsolis (BEMA Fentanyl) for breakthrough cancer pain. Onsolis incorporates "bioerodible mucoadhesive" technology, a small soluble film that contains fentanyl which is placed on the inside cheek of the mouth. Like other lipid-soluble drugs, the pharmacodynamics of fentanyl are poorly understood. The manufacturers acknowledge there is no data on the pharmacodynamics of fentanyl in elderly, cachectic or debilitated patients, frequently the type of patient for whom transdermal fentanyl is being used. This may explain the increasing number of reports of respiratory depression events since the late 1970s. In 2006 the U.S. Food and Drug Administration began investigating several respiratory deaths, but doctors in the United Kingdom had to wait until September 2008 before being warned of the risks with fentanyl. The synthesis of fentanyl (N-phenyl-N-(1-phenethyl-4-piperidinyl)propanamide) by Janssen Pharmaceutica was achieved in four steps, starting from 4-piperidinone hydrochloride. The sequence commenced with N-alkylation of 4-piperidinone with 2-phenylethylbromide to give N-phenethyl-4-piperidinone (NPP). Reductive amination of NPP using aniline and sodium borohydride afforded 4-anilino-N-phenethyl-piperidine (ANPP). Finally N-acylation of the tertiary amine with propionic anhydride provided fentanyl. Alfentanil (trade name Alfenta), an ultra-short-acting (five to 10 minute) analgesic. Sufentanil (trade name Sufenta), a potent analgesic (five to 10 times more potent than fentanyl) for use in specific surgeries and surgery in heavily opioid-tolerant/opioid-dependent patients. Its binding affinity is high enough to theoretically break through a buprenorphine blockade to offer pain relief from acute trauma in patients who are taking high-dose buprenorphine. Lofentanil is an analogue of fentanyl with a potency slightly greater than carfentanil. Fentanyl was first synthesized by Paul Janssen under the label of his relatively newly formed Janssen Pharmaceutica in 1959. In the 1960s, fentanyl was introduced as an intravenous anesthetic under the trade name of Sublimaze. In the mid-1990s, Janssen Pharmaceutica developed and introduced into clinical trials the Duragesic patch, which is a formation of an inert alcohol gel infused with select fentanyl doses which are worn to provide constant administration of the opioid over a period of 48 to 72 hours. After a set of successful clinical trials, Duragesic fentanyl patches were introduced into the medical practice. A new fentanyl product has been approved by the FDA for breakthrough cancer pain called Onsolis. It uses a new drug delivery technology called BEMA (fentanyl buccal soluble film) which is placed in the mouth on a small disc. There appears to be less abuse potential because the drug can not be crushed up and snorted like other fentanyl products. Illicit use of pharmaceutical fentanyls first appeared in the mid-1970s in the medical community and continues in the present. United States authorities classify fentanyl as a narcotic. To date, more than 12 different analogues of fentanyl have been produced clandestinely and identified in the U.S. drug traffic. The biological effects of the fentanyls are similar to those of heroin, with the exception that many users report a noticeably less euphoric "high" associated with the drug and stronger sedative and analgesic effects. The use of fentanyl has caused death. Because the effects of fentanyl last for only a very short time, regular users may become addicted very quickly. Additionally, fentanyl may be hundreds of times more potent than street heroin, and tends to produce significantly worse respiratory depression, making it somewhat more dangerous than heroin to users. Fentanyl is most commonly used orally, but like heroin, can also be smoked, snorted or injected. Fentanyl is sometimes sold as heroin, often leading to overdoses. Many fentanyl overdoses are initially classified as heroin overdoses. "Fentanyl powder seized by a Lake County Deputy Sheriff in Painesville, Ohio, where a male subject had been discovered unresponsive and struggling to breathe. Fentanyl is normally sold on the black market in the form of transdermal fentanyl patches such as Duragesic, diverted from legitimate medical supplies. The patches may be cut up and eaten, or the gel from inside the patch smoked. To prevent the removal of the fentanyl base, Janssen-Cilag, the inventor of the Fentanyl patch, designed the Durogesic patch. The Durogesic patches contain their fentanyl throughout the plastic matrix instead of gel incorporated into a reservoir on the patch. Manufacturers such as Mylan and Sandoz have also produced Durogesic-style fentanyl patches that contain the chemical in a silicone matrix, preventing the removal of the fentanyl-containing gel present in other products. The plastic matrix makes the patches far less suitable to transbuccal use and far more difficult to use illicitly than its gel-filled counterpart. Another dosage form of fentanyl that has appeared on the streets are the Actiq fentanyl lollipops, which are sold under the street name of "percopop". The pharmacy retail price ranges from US$10 to US$30 per unit (based on strength of lozenge), with the black market cost anywhere from US$15 to US$40 per unit, depending on the strength. Non-medical use of fentanyl by individuals without opiate tolerance can be very dangerous and has resulted in numerous deaths. Even those with opiate tolerances are at high risk for overdoses. Once the fentanyl is in the user's system it is extremely difficult to stop its course because of the nature of absorption. Illicitly synthesized fentanyl powder has also appeared on the United States market. Because of the extremely high strength of pure fentanyl powder, it is very difficult to dilute appropriately, and often the resulting mixture may be far too strong and, consequently, very dangerous. Some heroin dealers mix fentanyl powder with heroin to increase potency or compensate for low-quality heroin. In 2006, illegally manufactured, non-pharmaceutical fentanyl often mixed with cocaine or heroin caused an outbreak of overdose deaths in the United States, heavily concentrated in the cities of Dayton, Ohio, Chicago, Detroit, and Philadelphia. Baltimore, Pittsburgh, St. Louis, Milwaukee, Camden, New Jersey, Little Rock, and Dallas were also affected. The mixture of fentanyl and heroin is known as "magic" or "the bomb," among other names, on the street. Several large quantities of illicitly produced fentanyl have been seized by U.S. law enforcement agencies. In June 2006, 945 grams of 83% pure fentanyl powder was seized by Border Patrol agents in California from a vehicle which had entered from Mexico. Mexico is the source of much of the illicit fentanyl for sale in the U.S. However, in April 2006 there was one domestic fentanyl lab discovered by law enforcement in Azusa, California. The lab was a source of counterfeit 80-mg OxyContin tablets containing fentanyl instead of oxycodone, as well as bulk fentanyl and other drugs. The "China White" form of fentanyl refers to any of a number of clandestinely produced analogues, especially a-methylfentanyl (AMF). This Department of Justice document lists "China White" as a synonym for a number of fentanyl analogues, including 3-methylfentanyl and a-methylfentanyl, which today are classified as Schedule I drugs in the United States. Part of the motivation for AMF is that despite the extra difficulty from a synthetic standpoint, the resultant drug is relatively more resistant to metabolic degradation. This results in a drug with an increased duration. A derivative of fentanyl may have been used as the Moscow hostage crisis chemical agent. The Danish Army is also using the fentanyl stick in military operations as a pain killer. In the documentary film "Armadillo" (2010), a medic mentions the actual use of fentanyl on a severely wounded Danish soldier in Afghanistan. United States Air Force Pararescue uses lollipops with fentanyl. Mossad agents used levofentanyl in their 1997 attempt to kill Hamas leader Khalid Mishal. A number of fatal fentanyl overdoses have been directly tied to the drug over the past several years. In particular, manufacturers of time-release fentanyl patches have come under scrutiny for defective products. While the fentanyl contained in the patches was safe, a malfunction of the patches caused an excessive amount of fentanyl to leak and become absorbed by patients, resulting in life-threatening side effects and even death. Regardless, Fentanyl is considered the most safe opioid medication on the market, as well as the least harmful to the physical body, especially with long-term or life-term use. Manufacturers of fentanyl transdermal pain patches have voluntarily recalled numerous lots of their patches, and the U.S. Food and Drug Administration (FDA) has issued public health advisories related to fentanyl patch dangers. Manufacturers affected include Janssen Pharmaceutica Products, L.P.; Alza Corporation; Actavis South Atlantic, LLC; Sandoz; and Cephalon, Inc.
On September 25, 2002 Former WWF (E) & ECW professional wrestler "Pitbull #2" Anthony Durante was found dead in his home alongside his wife, whom also was found dead. They both died from a Fentanyl overdose. Their 2 infant children were found inside the home alive and well. On May 24, 2009, Wilco's former guitarist Jay Bennett died in his sleep of an overdose of the drug via Duragesic time-release patches, which he was prescribed. In 2010, Slipknot's bassist Paul Gray died after accidentally overdosing on a mixture of fentanyl and morphine. An inquest jury found by a majority verdict of 3-2 that an overdose of fentanyl was responsible for the death by misadventure of Anita Chan Lai-ling, 69, who died on October 17, 2007, after she was given an overdose of the powerful fentanyl.